Frank M. Crivelli - Crivelli & Barbati, L.L.C. Frank M. Crivelli - Crivelli & Barbati, L.L.C. Frank M. Crivelli is a shareholder with the law firm of Crivelli & Barbati, L.L.C. 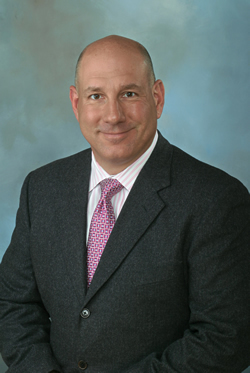 His primary practice revolves around the representation of public employee labor unions in various capacities, to include contract negotiation, unfair labor practice litigation, contract grievance arbitration, and other diverse issues that are litigated before state and federal trial courts, appellate courts, and administrative tribunals throughout the State of New Jersey. Frank M. Crivelli has attained certification as a Certified Trial Attorney by the Supreme Court of the State of New Jersey. To qualify for certification, an attorney must be at least a five-year member of the NJ Bar and have completed numerous continuing legal education courses in the three years prior to filing an application for certification. In addition, the attorney must show a substantial involvement in the preparation of litigated matters and demonstrate primary responsibility for a large number of trials completed before New Jersey courts. Less than two percent of the attorneys in New Jersey have been certified as trial attorneys by the Supreme Court of New Jersey. Prior to creating the Law Firm of Crivelli & Barbati, L.L.C., he was a shareholder with Pellettieri Rabstein & Altman, The Law Offices of Frank M. Crivelli, L.L.C., and Arpaia & Crivelli, L.L.C. However, his legal career began with the United States Marine Corps as a Judge Advocate stationed at Camp Pendleton, California. As a Judge Advocate, Mr. Crivelli was selected as the lead military defense counsel in a nationally publicized wrongful death case that has since shaped United States domestic policy on the use of military personnel on America’s international borders for drug interdiction purposes. While serving on active duty, Mr. Crivelli was also charged with the responsibility of assisting the development and implementation of the Department of Defense and Department of the Navy’s policy on sexual harassment. Mr. Crivelli educated Marines, Sailors, and Department of Defense Personnel on the implementation of the policy and was often called upon to formally investigate serious charges of sexual harassment and defend high-ranking Marines criminally charged with unlawful acts of sexual harassment. Mr. Crivelli is still a member of the Marine Corps Reserve where he holds the rank of Major. His last billet was serving as an appellate criminal defense counsel in Washington, D.C.
Mr. Crivelli is admitted to practice law in the Federal and State Courts of New Jersey, Pennsylvania and Georgia, as well as the United States Court of Appeals for the Armed Forces. He is a member of the American, New Jersey, Pennsylvania, Georgia and Mercer County Bar Associations, and the Association of Trial Lawyers of America. He is the founder of The New Jersey Public Safety Officers Law Blog (www.NJPublicsafetyofficers.com), a free electronic legal publication designed to keep New Jersey public safety officers up to date and informed about legal issues that affect their profession. Mr. Crivelli and Donald Barbati presently serve as counsel to over twenty private and public labor unions throughout the State of New Jersey. Mr. Crivelli is a graduate of Washington College (B.A. 1991), the City University of New York School of Law (J.D. 1994), the United States Naval Justice School (1995), and the Harvard Law School Program on Contract Negotiation.